Mixing (blending) of bunkering fuel oil using USB system. 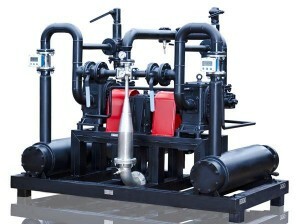 USB bunkering fuel oil mixers there are on oil barges, on piers, on the coast or in containers allow to make operators any type of fuel with the very precisely given a task viscosity and volume. Currently bunkering terminals and parks introduce stream mixing as a key component of the work. Modern mixers, with control of a ratio or quality adjustment, can increase flexibility, reduce capital investments in mixed product and reduce mixes production time. 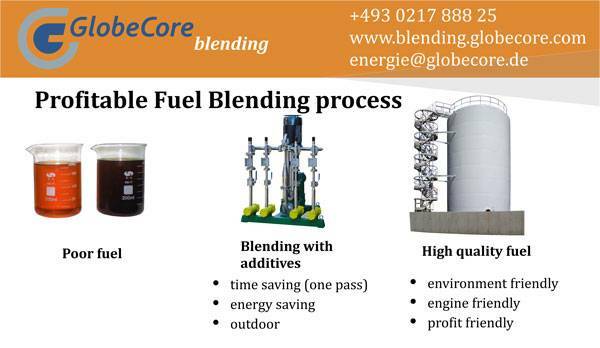 The GlobeCore Blending company has the huge long-term experience in development, production, of fuel oil blending systems for terminals and parks worldwide. Wide experience of GlobeCore Blending in commissioning and teams of engineers, give to operators confidence that the decision will be found for each concrete situation.